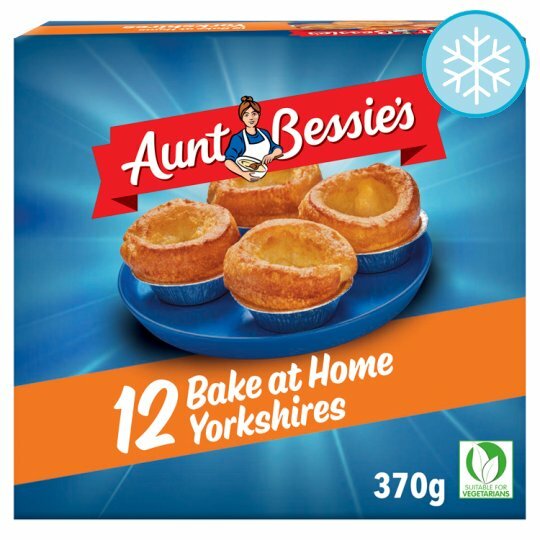 "With a recipe that you know and love and simply frozen for you to bake at home, just pop these Bake at Home Yorkshires in the oven for 20-25 minutes and watch them rise; crisp, golden and delicious." Oven cook (From Frozen): How to Cook... Now Over to You. Pre-heat oven and remove frozen Yorkshire puddings from box and inner film. If products are stuck together leave for a couple of minutes and prise apart gently. Do not remove foils. Place Yorkshire puddings on a baking tray and position on the top shelf. Cook for 20-25 Minutes.